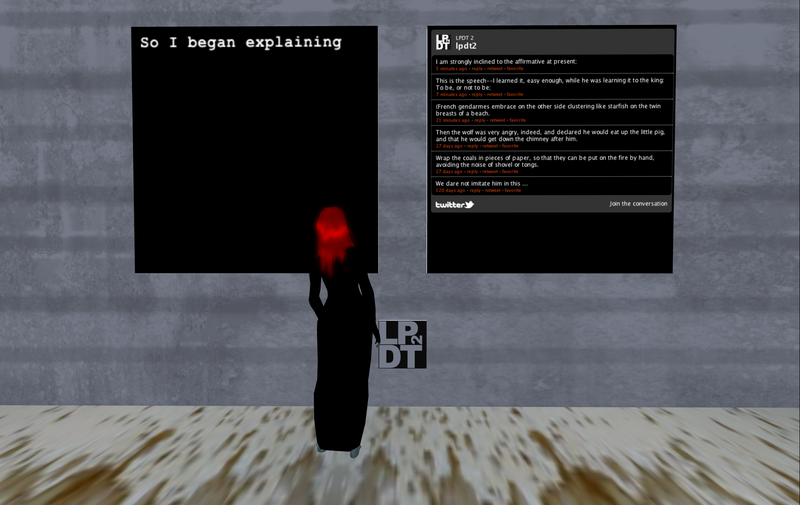 the twitter interface is up and running again, it’s placed at the soup sim Eryri in Second Life. you can contribute again to the pleating of the text by adding sentences from the database appearing on the left panel to the twitter stream on the right. Comments Off on tweet it!